So it's no secret that I love my dog and I love to spoil her rotten! This past Sunday Lucy graduated from puppy school and I decided to make dog treats to put in little goody bags for all the pups in the class. The class we took with Lucy at PetSmart was 6 weeks long and she loved the other dogs so I figured it would be cute to do something for all of them! I was able to bring each dog 10 treats in a little cellophane bag and brought some to the trainer for his dogs at home too. I probably seemed a little crazy, but everyone was appreciative of the little gift and I'm glad I was able to spoil all the pups for their graduation! I had made treats for Coco in the past, but she didn't like them and I didn't have the recipe I used so I went on Pinterest to search recipes. I read a few recipes for inspiration and then came up with my own. 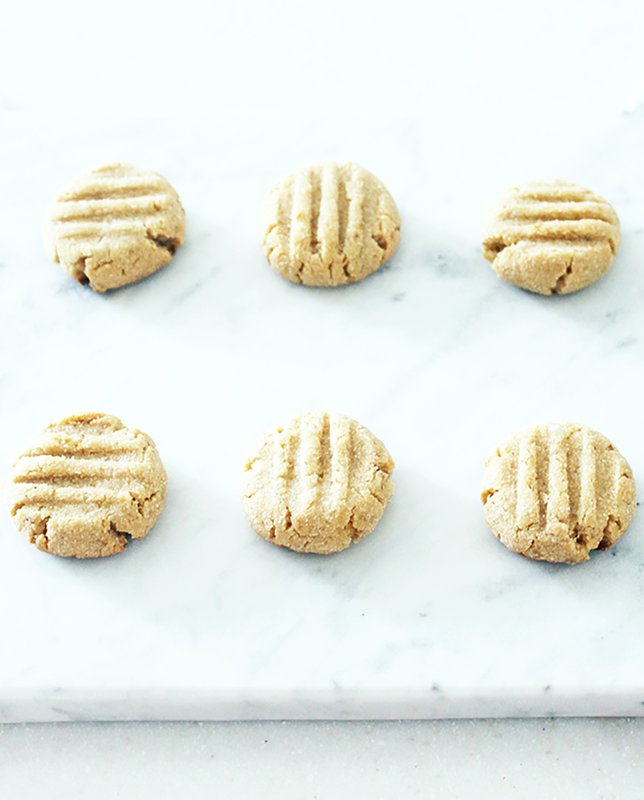 These cookies remind me so much of human peanut butter cookies, but just made with dog safe ingredients (aka no white sugar). They smelled amazing while I was making them and I wanted to give them a try, but I'm allergic to apples so my Mom tried them for me and said they were good. Lucy also goes crazy for them, which made me so happy! This recipe is easy, healthy, and sure to make your pup(s) very happy. *I used a mix of coconut flour, rice flour, and Arrowhead Mills Gluten Free All Purpose Baking Mix. **Make sure the peanut butter does not contain Xylitol. -Mix gluten free flour and oats until combined. -Add eggs, peanut butter, applesauce, and melted coconut oil mixing between the addition of each ingredient. -Shape dough into 1/2 teaspoon balls and place on cookie sheet. -Using a fork, flatten the treats (you can press the fork into the dough just once, like I did, or twice and create a criss cross design). -Bake at 350 degrees for 20 minutes. -Transfer from cookie sheet onto wire cooling rack. -Allow to completely cool before giving to your pup. -Store in an airtight container. 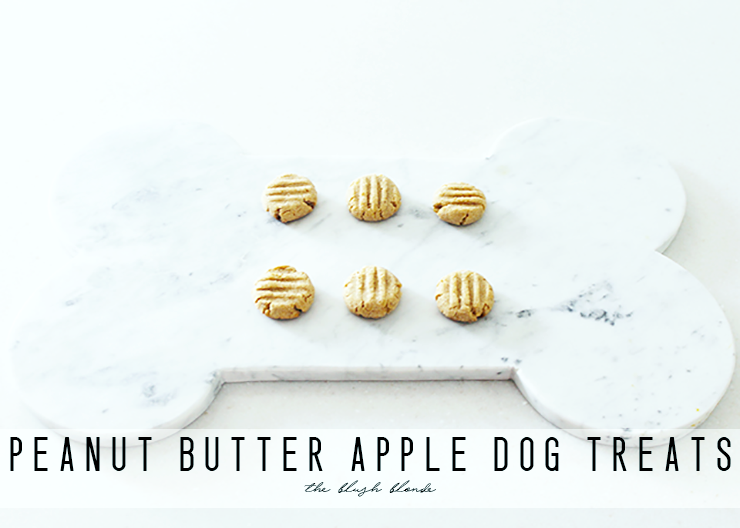 Have you ever made dog treats before?